Explore Panama, where you can walk from the Atlantic to Pacific in a week. See the culture and traditions of the indigenous Kuna Indians. Wander the rain forests of Chiriqui and explore the Baru Volcano. specifically for children. 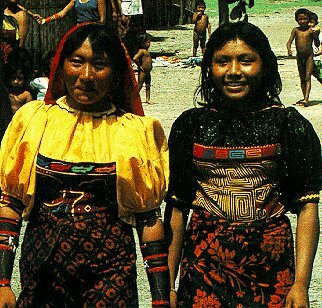 Travel picture of Two young women of the Kuna Indians.